The publication of Australia’s 2015 NAPLAN results has sparked a multi-sided debate about how we improve student outcomes, particularly in literacy and numeracy. Robert Randall, head of the Australian Curriculum, Assessment and Reporting Authority (ACARA) said this year's NAPLAN results showed "that at a national level we are seeing little change in student achievement in these important areas of learning*" (*literacy & numeracy). According to the rankings from PISA (the Program for International Student Assessment) Australian students are under performing against students in other countries. What are the options available to improve education outcomes? In a Sydney Morning Herald article, Peter Goss, a Grattan Institute director said, “It is easy to analyse NAPLAN results, much harder to improve them. You don't fatten a pig by weighing it. 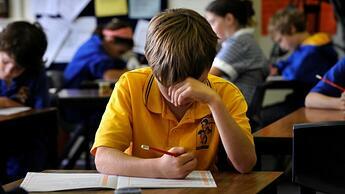 If NAPLAN results are to improve, we need to improve student learning”. How do we “improve student learning”? Is there one single magic fix or do we need to apply multiple solutions to improve student learning? And how do we choose from a long list of proposed solutions? Differentiated learning: Grattan Institute's latest report, Targeted Teaching, says that the most effective way to improve learning in the classroom is to target teaching to every student. Change how teachers teach: Professor Patrick Griffin, from the University of Melbourne's Graduate School of Education said "If you want to change student performance you actually have to change teaching.” How long does that take to show effect? Change the curriculum – historically, has there been much improvement from curriculum changes? Evidently not in the last 8 years. More funding – yes, but for what? Increase parent involvement in their children’s education – regardless of what this means, how do we train and motivate parents to do this and how long does this take nationwide? More school principal autonomy – NAPLAN can be a way to measure the effectiveness of principal choices. Put literacy & numeracy specialist teachers into primary schools – why isn’t teaching literacy & numeracy skills a core skill for all primary teachers? How long does it take and how hard is it to produce improved educational outcomes using the above? Grattan Institute’s Peter Goss says, “This is hard work: teachers must be able to assess what each student knows now, target their teaching to what they are ready to learn next, and track each student's progress over time. The typical classroom has a wide spread of achievement – five to eight year levels between the strongest and weakest students, on average. In a year 7 maths class, for example, there may be students working at a year 1 level while others have mastered concepts from year 8”. Even with the emerging technology to help teachers deliver differentiated learning, how hard is it for them to give a class of 25 students lessons that span year 1 to year 8? How long does it take to train the teachers to use this technology? Some education experts say that changing the way teachers teach could take up to a decade or even a generation to produce any significant impact. Many of the proposed solutions are unlikely to produce any worthwhile, widespread improvement in literacy and numeracy, or other learning outcomes, for our students in less than 5 to 10 years. Rather than changing how teachers teach, or modifying the curriculum, or trying to implement differentiated learning, could we improve the ability of students to learn what is being taught? This is a radical idea, something that would not have been considered possible until fairly recently. Until the work of pioneering neuroscientist Dr Michael Merzenich and other scientists revealed the natural ability of our brains to change (“rewire”), now known as brain plasticity, educators believed that students’ capacity to learn was fixed from the moment they started school. The educational paradigm was that the teacher's role was to deliver the curriculum content to the students in the most engaging way they could so that the students could learn. Education policymakers and administrators accordingly have focused largely on two key elements: curriculum and teaching. Have we been missing a third element - the learning potential of the student’s brain? We now know – from the application of neuroscience research - that students’ capacity to learn what the teacher is teaching can be improved in as little as 2 or 3 terms. Imagine if every student’s ability to learn was improved by just 10%. What difference would that make to their results? And, without teachers having to change what they teach, how would that change the satisfaction they get from teaching? Dr Michael Merzenich, regarded as “the father of cognitive neuroscience” told school principals and teachers at the Queensland University of Technology's Future Ways of Thinking conference last month that brain training exercises should be used in Australian schools. He also said that brain training would soon become as common as physical fitness programs. Brain training exercises are currently being used by students around the world via a range of neuroscience-based programs. The most widely used are the Fast ForWord programs which have been implemented in almost 7000 schools for over 2 million students in USA, Canada, UK, Australia, New Zealand and in Europe, South American and Asia. However, there are others such as Cogmed, Arrowsmith and Feuerstein ( see: Download Neuroscience-based Programs Comparison Chart below) and new ones are being developed. Is now the time for education policy makers to look at neuroscience for its contribution to improving Australian literacy & numeracy?